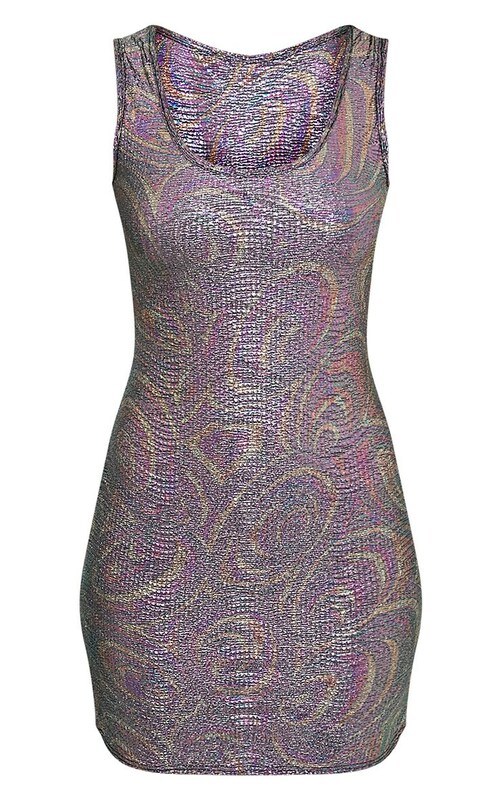 Featuring super stretchy fabric and metallic finish this dress is bang on trend this season. 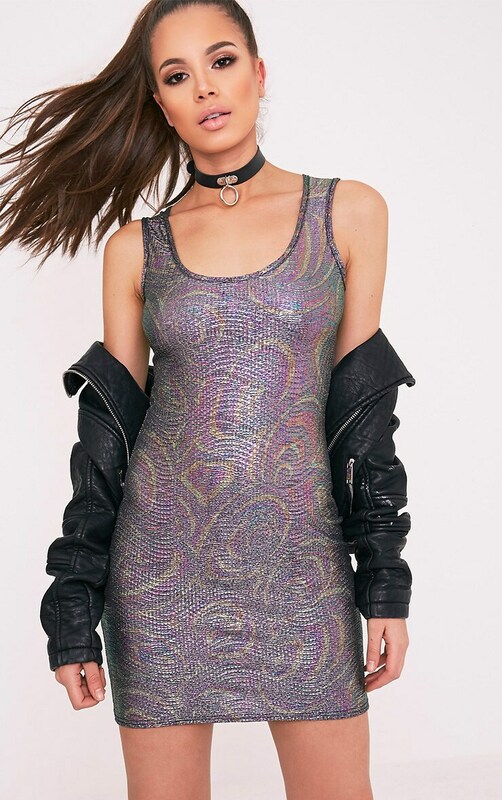 The bodycon fit and scooped neckline are ultra flattering. Team with a pair of barely there sandals to complete the look.